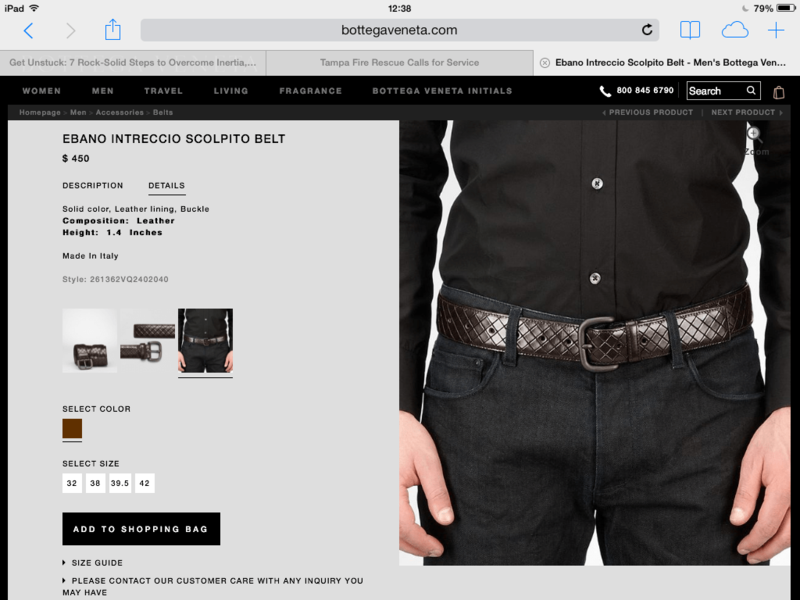 is it crazy to spend $500 on a belt? 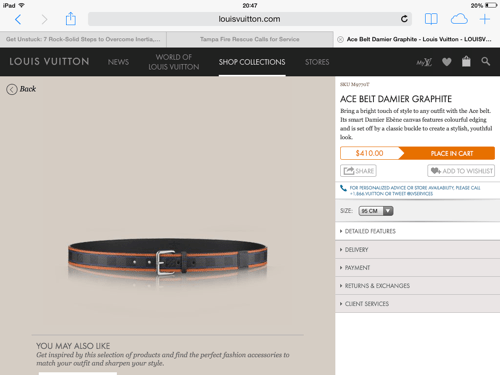 Home StyleMenswear	is it crazy to spend $500 on a belt? Belts don’t get the recognition that other accessories do, at least in the menswear world. Sure they’re there, but they don’t get too zingy beyond black or brown. * Yet, we easily keep one for years. Oh, and please forget that nonsense about matching your belt and shoes. I never do. *That is, until you get into more rarified air. Delving beyond a basic color palette, it’s texture and quality of material that creates visual richness and longevity. Like: a suede checkered pattern above. Now tell me, for those who think fashion is frivolous…why is it that technology is a superior investment, despite it changing so quickly and rendering your $300 iPhone outdated in a matter of months? I’ve always loved leather, but for some reason, never spent much time lusting over belts. Wallets seemed more useful, more visible as taste indicators, and I have that area well covered. I’ve been wearing that new navy belt with everything since I got it, even though it serves no practical purpose because my pants stay up just fine. In investigating other options (always looking ahead)…I chose a budget around $500, which buys a piece of some of fashion’s best know-how. Something I could keep forever. This truly is the goal. Despite its lesser ensemble visibility, I am wary of the logo-ed damier canvas belt above. Taken purely on aesthetics, it’s a fun, cheerful belt. But I am not about to give free advertising to the largest luxury goods company in the world. Bottega Veneta makes some of the most beautiful, logo-free leathergoods in the industry. Their signature is a woven leather, called intrecciato. I have always liked pops of red, and Bottega Veneta just introduced the ‘new red’ which is more of an orange/coral red than brick red. I love it. BV also began making accessories out of scolpito leather, which is scored to look like weaving – a trompe l’œil. See below. 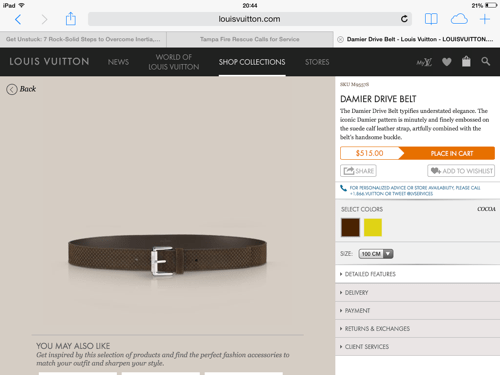 If you’re going to drop half a grand on a belt, it might as well be interesting. Let your boring belts be cheap. Of course, I always play against myself and have to consider what else I could buy with the same funds. I’m in full portfolio/clutch mode lately, so a handheld that fits my essentials is in order. 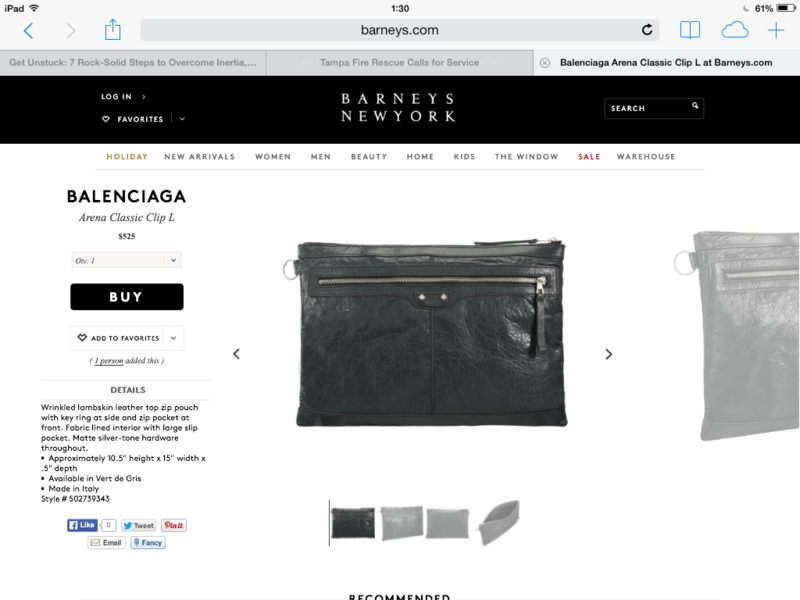 I particularly like the inky dark green of this Balenciaga pouch. Not too loud, but more interesting than black. 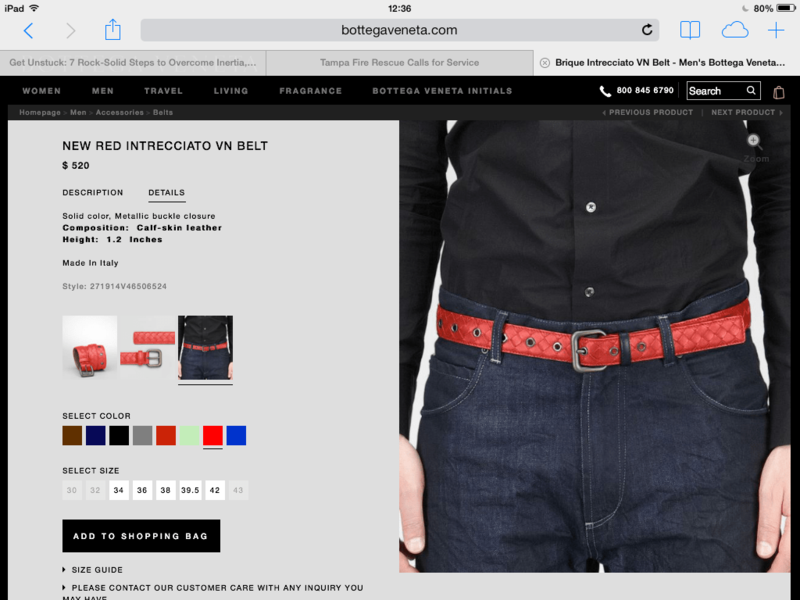 So, as the title asks…is it crazy to spend so much on a belt? Even if I’ll wear it steadily over the years, as a statement piece that few others have…? Leave your feedback, I’d love to hear your thoughts!